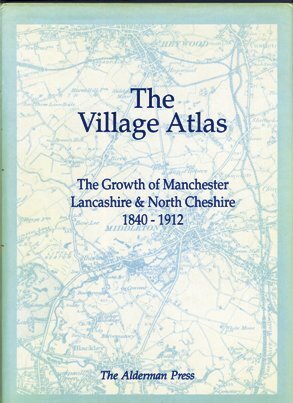 The "Village Atlas" series demonstrates the incredible expansion of cities and their environs during the Industrial Revolution of the 19th century, when thousands of acres of land were suddenly covered with houses, factories, railways and canals. Villages and hamlets were swamped in the process, losing their individuality, to form one huge metropolis. The book divides Manchester and the surrounding area into 32 sections of 40 square miles each. 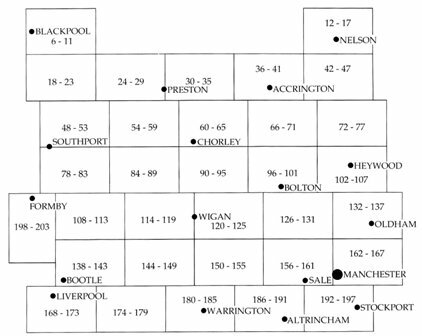 For each section, it provides three Ordnance Survey maps on a scale of about two inches to the mile. The first map in the section shows the area in the early 1800s when the first survey was made, the second shows the situation in the middle of the century, and the third the state of development by the early 1900s. Thus, by turning the page, an immediate and detailed impression of the growth of an area is gained. A useful reference source for academics, this book will also appeal to the increasing number of people who belong to local history societies.